I can hardly believe it! 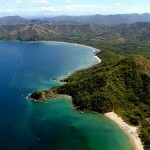 I’m flying to Costa Rica tomorrow to visit the city of Nosara! Nosara is a surfing hub located on the Pacific Ocean in Central America, and from what I hear, it’s highly Americanized. My husband, who loves to surf, can hardly wait to hit the waves. Meanwhile, I’ll be boogie boarding and reading and collecting freckles. I’ve never been to Costa Rica before. I’ll let you know what it’s like, in case you’d like to go there yourself sometime!